In Bringing Up Baby the mild-mannered paleontologist David Huxley (Cary Grant) needs a vital last bone for his exhibit on dinosaurs and a million dollar grant for his museum. Everything is going as planned, when he meets madcap heiress Susan Vance (Katharine Hepburn). She decides she must have him and uses her pet leopard Baby as an excuse. David drives Susan and Baby to her home in Connecticut and while there, Susan’s dog takes the last vital bone for his exhibition and buries it. But they have more to worry about, because Baby escapes…. – The film is based on a short story, also called Bringing Up Baby, by Hagar Wilde that was published in Collier’s magazine. In April 1937 producer and director Howard Hawks read it and the story made him laugh so much that he immediately wanted to make a film out of it. – Katharine Hepburn had never done comedy before and was unsure of her comedic abilities. Howard Hawks helped her and also hired several vaudevillians to train her. – Baby was played by a young leopard named Nissa (II). 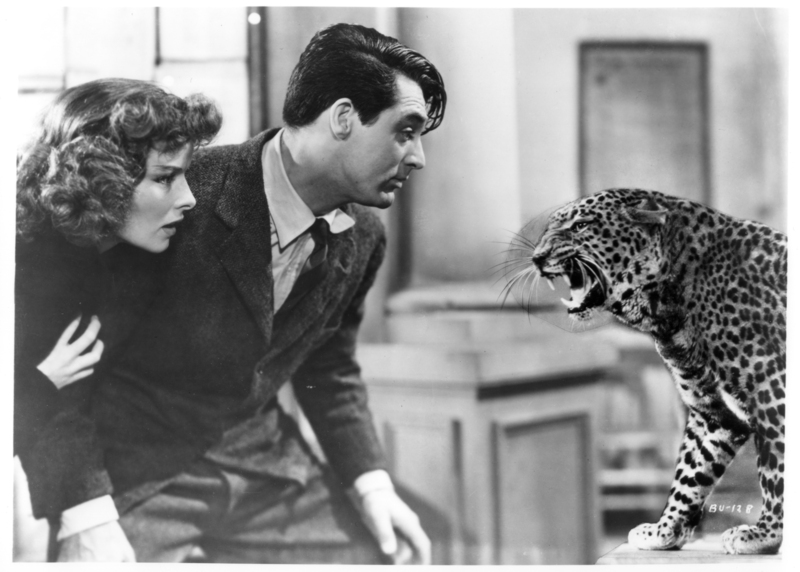 Cary Grant was so afraid of it that a double was used in scenes where his character had to make contact with the leopard. Katharine Hepburn actually enjoyed petting it and the animal trainer said Katharine could be a trainer herself because she was so fearless. – This is the second of four movies pairing Cary Grant and Katharine Hepburn. – Bringing Up Baby marks the first time the word ‘gay’ is used in its modern sense of ‘homosexual’, as opposed to the old-fashioned meaning of ‘happy’. The word was already used as slang in the gay community, but it was not widely known or used by heterosexuals. Therefore it was not in the original script, it was an improvisation by Cary Grant. The, very strict, censors probably did not remove it because they did not realize what was really meant by it. 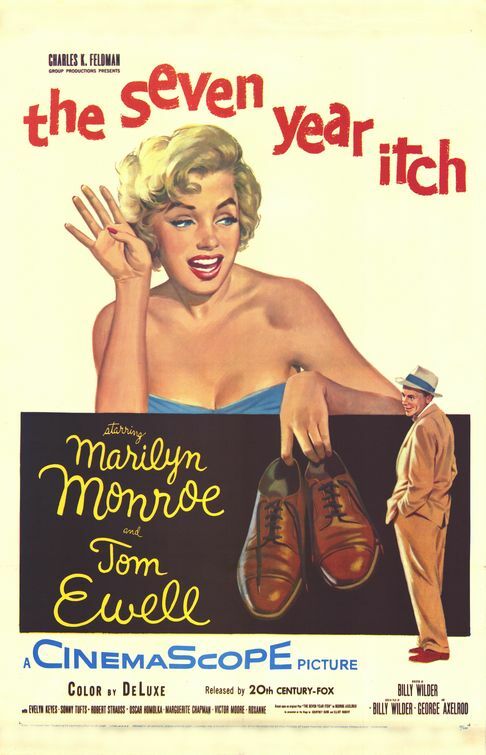 – The scene where Susan’s dress is ripped was inspired by something that happened to Cary Grant. He told Howard Hawks that he was at the Roxy Theater one night and the zipper on his pants got caught on the back of a woman’s dress, so he had to follow her. Hawks loved the story and put it in the movie. – Bringing Up Baby is often referred to as a ’screwball-comedy’. This is believed to come from director/producer Howard Hawks who commented that there weren’t any ‘normal’ people in the movie and everyone was a ‘screwball’. – Because Katharine Hepburn was a part investor, her estate still receives money from the profit the movie makes to this day. – Christopher Reeve based his performance as Clark Kent on Cary Grant’s David Huxley from this film. – Although Bringing Up Baby is now a classic, it did very badly at the box-office upon its release. 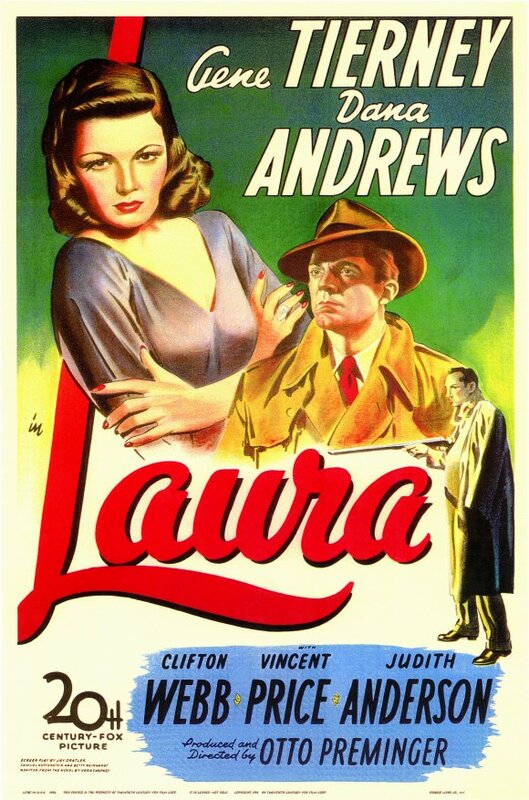 In fact, it did so badly that director and producer Howard Hawks was fired from his next production and Katharine Hepburn had to buy out her contract so she would not end up being cast in B-movies. Bringing Up Baby received no nominations or awards. 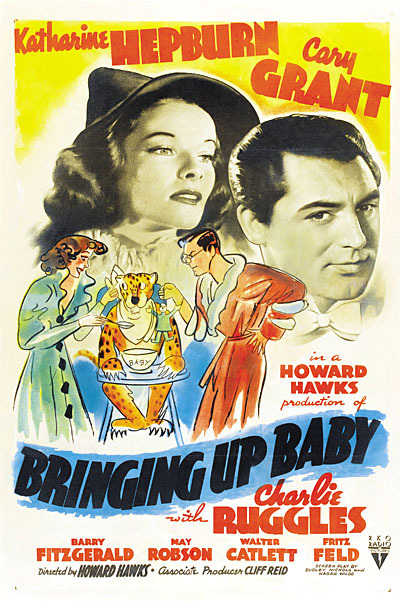 It is hard to believe that Bringing Up Baby was considered a failure at the time of its release. It got bad reviews and was considered to be too ‘over the top’. The fast pace, absurd situations, misunderstandings and zany antics were a bit too much for moviegoers in the 1930’s. You could argue that Bringing Up Baby was ahead of its time. 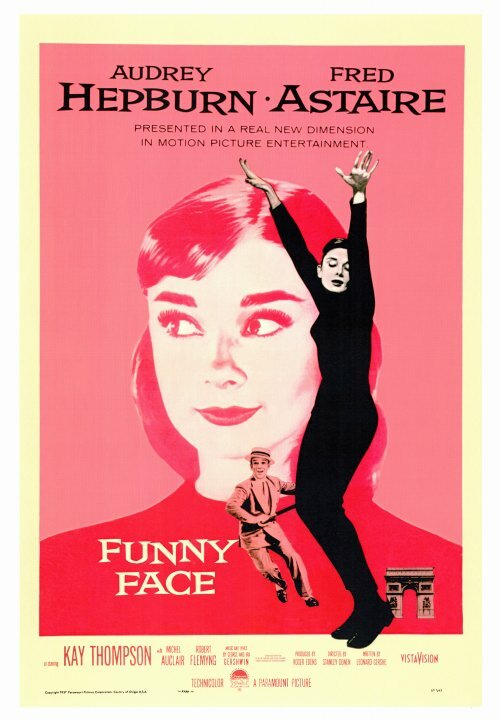 Decades later, when the film was shown on television regularly during the 50’s and 60’s, people started appreciating Bringing Up Baby more and more. The ‘over the top’ quality of it is now seen as comedic brilliance and it has cemented the genre of the ‘screwball comedy’ that is still popular today. Bringing Up Baby is now a classic and a comedic staple. It has been adapted several times and has inspired countless films and television shows. It has a steady spot on almost every ‘Best Movies of All Times’ lists and is a favorite amongst many Classic Hollywood film fans. Read more about Katharine Hepburn or Cary Grant’s life.